Stephanie Pratt and Joey Essex: is it a fake relationship? 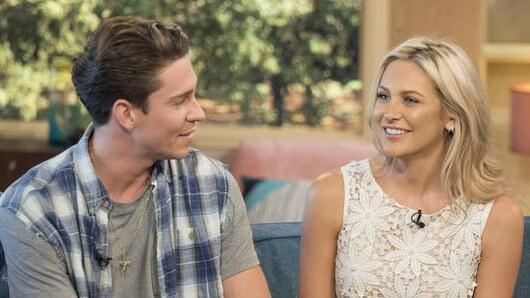 It’s only been a matter of weeks since Made in Chelsea met The Only Way is Essex, when Stephanie Pratt and Joey Essex coupled up together on the dating show Celebs Go Dating. Yet, this new relationship already appears to be going a hundred miles per hour. Considering the concept of the show was to allow celebrities a chance at love with ‘normal people’, the two reality TV personalities seemed to hit it off out of nowhere. Even the dating agency accused them of putting it all on purely for the cameras. Hmm…Does anyone smell a showmance? Stephanie also revealed to Keith Lemon, Celebrity Juice host, that she has already dropped the L-bomb on Joey: “We will be together forever… we’ve said, ‘I love you’.” She continued to admit that she has mentioned her “boyfriend” on camera while filming for Made In Chelsea. Perhaps we’re being too cynical. Celebs Go Dating star Tom Read Wilson has recently insisted that the romance is “the real deal”, and he was able to witness the chemistry first-hand. Maybe we will have to take their word for it then. Only time will tell.